Vicki Escarra in Rwanda with entrepreneurs supported by microloans from Opportunity International. Vicki Escarra took a job as a flight attendant with Delta her first year out of college. While working a charter flight transporting the board of directors, she met the CEO, who asked what her plans were for her time at the company. Escarra said she wouldn't be staying at Delta long, as she planned to "do something really meaningful." This was 1975 and the then Delta CEO David Garrett laughed and invited her to a meeting in his office the following week. 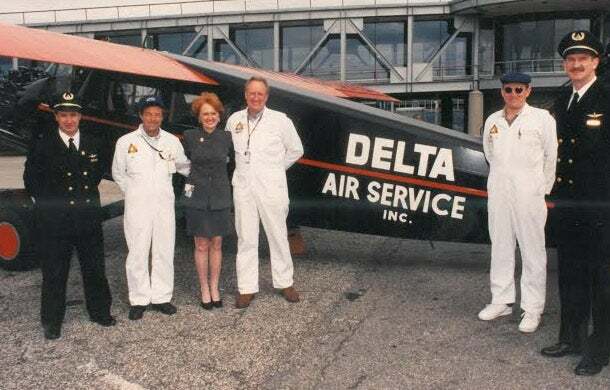 When she showed up to the meeting, Garrett had already identified four jobs at Delta he felt she might be interested in. And while he didn’t help her skip any of the requisite application procedures, he did say he wanted to see her stay on at the airline. Escarra would go on to work for Delta for 30 years, moving jobs within the company every two years. At various points in her career, she ran all of the call centers, flight attendants and maintenance operations around the world. Vicki Escarra has a corporate-leadership heavy resume, but her path, she says, has been very entrepreneurial. She also helped the company manage through crisis. A week before 9/11, she had taken on the role of chief marketing officer, overseeing planning, marketing and sales. 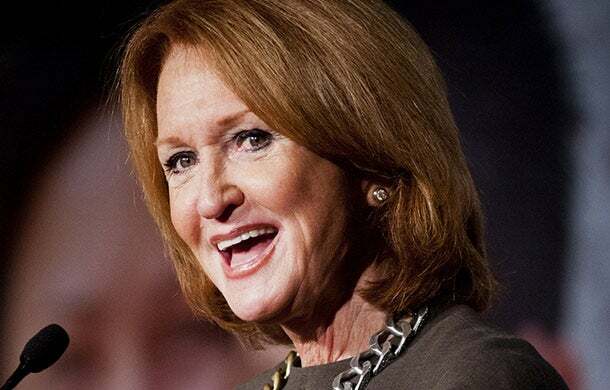 In the weeks and months that followed, she helped secure a $4 billion loan from the government to keep the airline industry afloat and was also involved in rewriting security rules. In total, Escarra managed 52,000 employees at Delta. She was also the first woman to hold an executive role at Delta. After retiring from Delta in 2004, Escarra worked for the city of Atlanta and then became CEO of Feeding America, a hunger relief nonprofit. She's now CEO of Opportunity International, an organization that provides small-business loans and other financial products to impoverished populations across the world. Here's what you can learn from her leadership journey. Lesson 1: Take time for talent. Escarra's encounter with Delta's CEO taught her a major lesson – take time out in your busy schedule to recognize workers who have potential. Not only will it benefit the person being recognized, but it's likely to strengthen their loyalty to your company. "If I see talent, I make an appointment or time to say, ‘I want to talk to you.’ And that was a lesson I learned early,” says Escarra. Escarra eventually completed a different executive leadership program at Harvard that was shorter and did not require her to move. Lesson 3: Everybody has something to give. After leaving Delta, Escarra began working as temporary chief of staff for Shirley Franklin, who was then mayor of Atlanta. The mayor decided to take on education reform in her first term. During one particular school visit, Franklin gave her phone number to every student she encountered. She promised that if any one of those high-school seniors were to call her, she would personally take action to support them in some way, either by writing a recommendation or paying a college admission fee. Escarra worked at Delta for three decades, rising the ranks and becoming the airline's first female executive. Those words stuck with Escarra as her career changed course. Escarra went on to run a hunger relief non-profit called Feeding America. Escarra was there for 6-1/2 years and in that time, she led the rebranding of the company to Feeding America from the much more nebulous name, America’s Second Harvest. During Escarra’s tenure, fundraising at the nonprofit tripled. Lesson 4: Measure and track results. Then, keep your eye on the long view. Two years ago, Escarra was tapped by the board of Opportunity International to be its next CEO. Escarra wasn’t interested in leaving Feeding America, but the Opportunity International business model and global reach ultimately won her over and appealed to her ambitions. Opportunity International has 17,000 employees, operates 16 banks, and serves more than 5 million entrepreneurs. The mission of the organization is to get capital into the hands of ambitious, would-be entrepreneurs. With capital, entrepreneurs create jobs and can potentially lift a community out of poverty. Delta and Opportunity International are nothing alike from the outside, but both organizations are global networks in highly regulated industries, says Escarra. “Most people who are in the non-profit space don't realize that really well run nonprofits are very focused on measurable goals: they set up score cards,” she says. “Any investor that decides to put money into a nonprofit should ask to see, ‘Let me see your scorecards, let me see your impact.’"
If Escarra can keep Opportunity International on target, she hopes to have created 20 million jobs around the globe by 2020. With mobile banking technology, Opportunity International can touch more and more farmers in remote regions of Africa for less money.